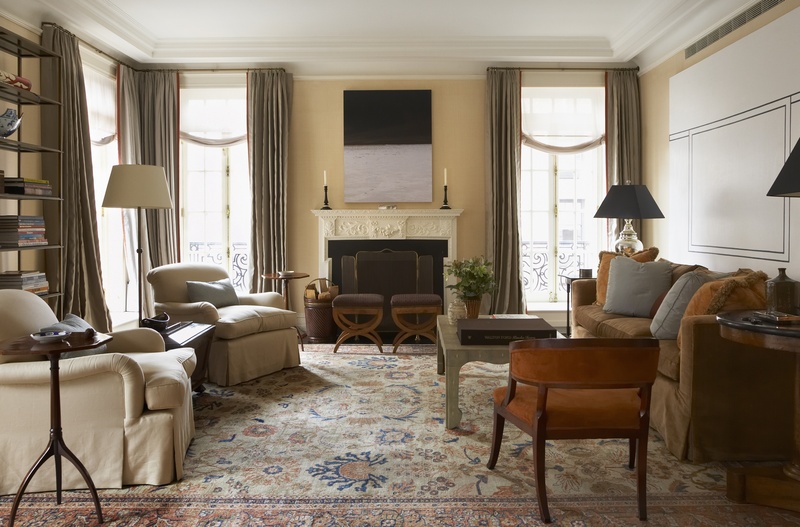 Collaborating with New York architect Riccardo Vicenzino, our firm provided decorating services for this apartment of a long-standing client. Working with the clients’ existing collection of English and Scandinavian antiques and contemporary paintings, we created rooms that are both classic and contemporary, elegant but also comfortable. The warm, airy palette used throughout the apartment is reinforced in the custom upholstery and unique mahogany casework furniture created for the project. The existing layout of the apartment’s public rooms on its lower floor were reorganized to create better flow and a new family room adjacent to the completely-renovated kitchen.